Progressive International Electronics is known throughout the worldwide petroleum industry as a leading manufacturer of consoles, controllers, and other communication equipment. Born of an existing manufacturing company, Progressive was founded in 1988 in Raleigh, NC, and we have since moved to a location on the outskirts of Raleigh. Our numerous patented designs have progressed with the petroleum industry, from simple controllers for mechanical dispensers to state-of-the-art control software for the most sophisticated dispensers and card readers. Progressive International stays on the cutting edge by recognizing the newest in protocols and by consistently updating the interface capabilities of our products. We have an excellent working relationship with the major dispenser manufacturers, and own an array of simulators for their products to allow in-house testing. Progressive International has been a member of PEI for over 25 years and exhibits yearly at the NACS shows. Large enough to offer a global presence, yet small enough to offer individual service. Progressive International Electronics' foundation is service... and we make sure it's personalized. Our client bases are throughout North America, Asia, South America and Central America, but we make an effort to get to know our distributors and end-users, as well as their specific fueling environments. When you call, except in rare instances, a real live person answers. And you can usually speak to the same person you worked with the day before. Our support staff is highly trained, not only in our own product lines, but also in the major dispenser and product brands with which we communicate. We guide you through your decisions on purchasing and then continue our service by guiding you through installations or service. We even offer in-house training for developing your POS system to communicate with our products. Occasionally, our customers require specialized designs which are not yet available in the petroleum industry. We welcome the opportunity to discuss these communication possibilities with you, and can bring your ideas to prototype or production level. We're proud of the reputation we have earned in our worldwide market, and we intend to do everything we can to uphold it. The PIcon II console with an EMR3 (Electronic Meter Register) interface is a great solution for marinas that want to have more accurate, automated control of high-flow dispensers. 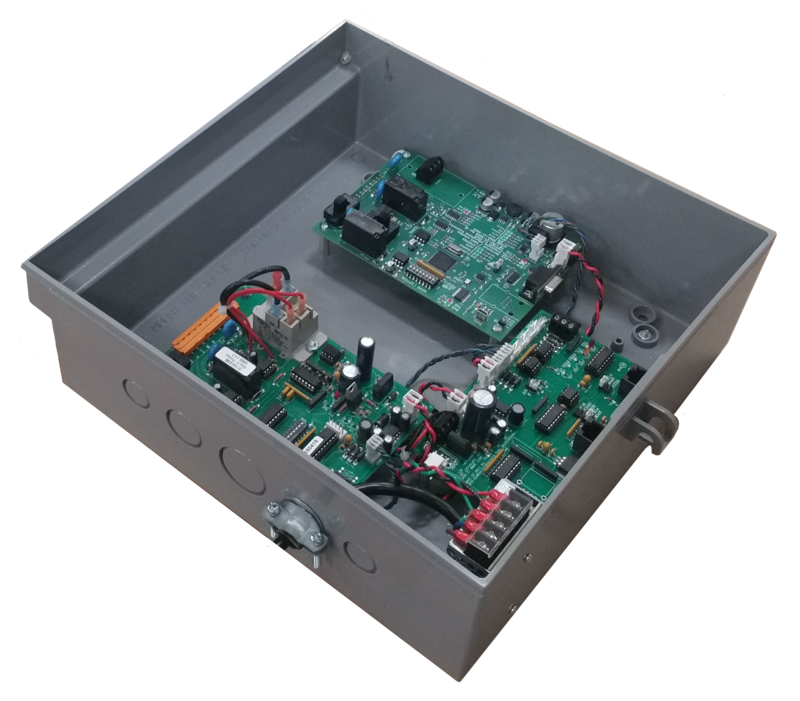 The EMR3 interface can be used with all PI fuel controllers because it can be part of the Hybrid Mechanical DBox. On site, a mechanical register would need to be replaced by the EMR3, a standard Veeder-Root product, which can then easily connect to the EMR3 interface. See the Brochure for more information about the EMR3 Interface. Please stop by our booth at the Southeast Petro-Food Marketing Exposition in Myrtle Beach, SC, March 6-7. Booth #235. COMING SOON! Omega JR Socket Application. PIE's Omega JR Fuel Controller now with a socket interface for flexibility in POS integration. Available in Windows and Linux executables. Check out our Support App for Android, a very useful tool for technicians working with PIE products. Get more information on our Support page. Helpful Tip from PIE, Inc. When troubleshooting, often the best approach is to step back and look at the obvious. Most of the time, it is the simple thing that causes the issue. Look at the "big picture" and follow the flow of the system, thinking about how the symptoms would apply in each part. When in doubt, call the service department for the equipment. That is why they are there, and you shouldn't spend an exorbitant amount of time trying to figure it out on your own when help is so close. Our standard here at PIE is: if after 20 minutes you don't have an understanding of the problem, call us.